LAMIN BABA NJIE takes a look at the unfolding scenario. The conduct of credible, free and fair elections is an important cornerstone to shore up democracy in the Gambia, whereas the activity of civil society organizations in monitoring and observation of such elections is an essential tool to ascertain its credibility, free and fairness. After taking part in a three-day intensive training exercise for members of the coalition of civil society organizations on how to monitor and observe elections, Youth Crime Watch the Gambia would take part through an ‘all-out’ participation on monitoring and observation of Thursday’s November 24th presidential polls. 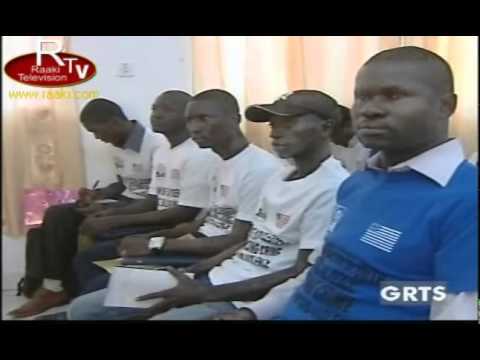 The jostle is prudent for Youth Crime Watch the Gambia (YCWG) as an active associate of the CSOs coalition on elections observation and monitoring under the coordination of West African Network for Peace-building (WANEP) in the Gambia. From all indications, YCWG proponents believed, domestic elections monitoring and observation through the coalition of civil society organizations would shape and improve the country’s electoral process for democracy. YCWG also intuited the need for rendering its modest mound and support to the coalition of civil society organizations as a way of enhancing ‘the country’s democratization processes’ through periodic elections as an imperative to ascertain their outcomes. The continued involvement of Youth Crime Watch the Gambia in democracy and development in the country can therefore be described as ‘sine quo non’ to the effort of the coalition in improving its civic engagements in development discourse and human rights issues. There is also the telling need for neutrality of the coalition in the electoral process to ensure transparency and objectivity as well as not to become amenable to open partisan political actions, which could undermine their credibility. This activity, however, was needed to scale up the role and responsibility of YCWG in promoting domestic election monitoring and observation in the country that would cut across all sections of society through popular participation. The promotion of this phenomenon, YCWG believed, would facilitate a close collaboration and cooperation among CSOs as a way of ensuring their effective and efficient service delivery to the masses. It was also opined that the activity would seek to consolidate the approaches and methods of work of YCWG through interacting with the local people at distinct levels and in different areas. In this way, this would also offer the coalition a wider operational strategy as it works with and within structures to influence policies and systems. For Fatou Drammeh, Youth Crime Watch the Gambia has a stake in the electoral process as it jeers up with the coalition of civil society organizations to monitor and observe the elections. Consequently, Ms Drammeh believed YCWG has an important function to carry out during the election period as an active member of the coalition. Over 30 youth leaders in Gambia are now part of the Ignitus Worldwide network, after completing a four-day training this past April 27th, in which they were trained to participate in the Youth Crime Watch program for the country. The various workshops engaged them and empowered them to use their skills to prevent drug use and violence in their communities, as well as promote peace and good citizenship. On May 26th, they took their training to the next level through the unique experience of visiting the Tanka Tanka Psychiatric Hospital to show them the vulnerabilities of youth to mental and physical damages due to drug use. Skits make the dangers of violence come to life for an audience in the Gambia. As a part of its effort to cement the relationship between police and students, Youth Crime Watch of the Gambia has embarked on establishing drama club teams in schools. The school-based clubs conduct activities to educate students about the dangers of drugs and violence. Recent drama productions by the groups at Saint Joseph and Saint Augustine Senior High Schools have focused on illicit drug use and on community policing. YCW the Gambia Plants Peace Tree in Sierra Leone Planting the peace tree. A delegation of five Youth Crime Watch the Gambia members recently returned from the West Africa Youth Leadership Training Seminar in Freetown, Sierra Leone. The event provided training in non-violent conflict resolution as well as project and NGO management skills for youth leaders working for positive change in the region. It addressed the causes of conflict in West Africa, analyzed the potential of young people to build peace and reappraised the role of youth in decision making. During the course of the training, the YCWG delegates planted a “peace tree” in front of the Ministry of Youth and Sports offices.